CloverEats! amazing waffles at Evanston’s Walker Brothers Pancake House. | Clover Eats! I’ve blogged before about how brunch is probably my favorite meal of the day. There’s nothing nicer on a lazy Sunday than sleeping in, getting dressed up, and heading out for hot coffee and sweetcakes. I’ve always had a special place in my heart for Walker Brothers especially, and for a while, went there every Sunday with my dad. The lines can get really long on weekends, so be sure to go either really early or really late! I love the bright windows and stained glass! 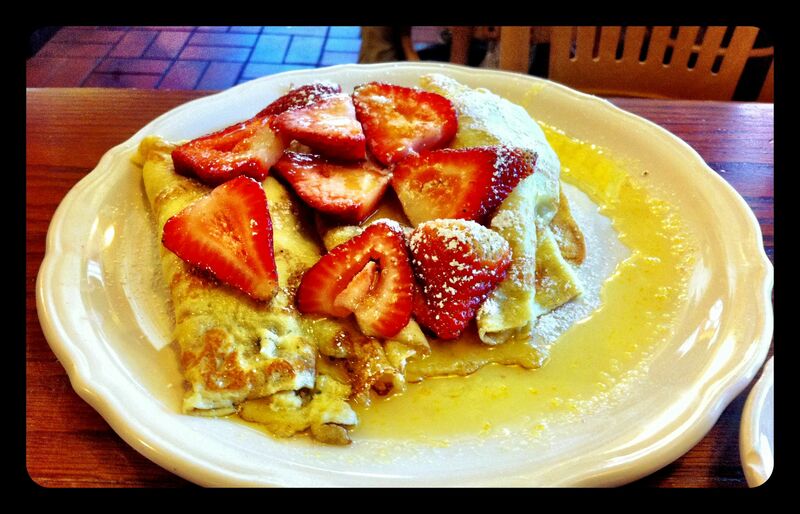 If I’m at Walker Brothers with a group, I always split their amazing Apple Pancake. However, when I’m by myself, I prefer either Potato Pancakes or Chocolate Chippies. Today, I went for a Bacon Waffle. It was AMAZING. Bacon + waffle + syrup = crazy delicious! The service is always surprisingly fast (especially considering how crowded it sometimes is), and though there’s a line to get seated, it always moves quickly. I have had so many good times at Walker Brothers; check it out sometime! 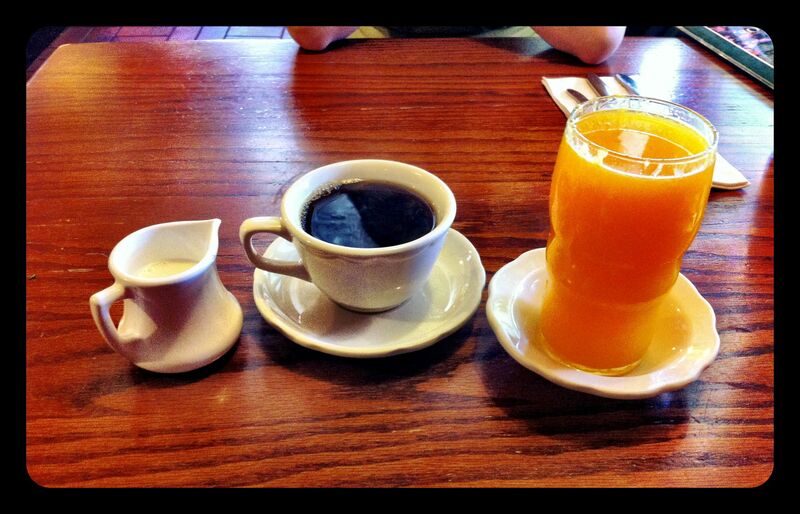 Cream, coffee, fresh squeezed orange juice!